Quick—think of the most recent digital ad you saw. Was it automotive? Retail? Most likely. Name almost any other category and the same probably holds true. Also likely to be true? That the ad you saw wasn't pharmaceutical related, despite 2015 pharmaceutical spending matching the 2006 record level of $5.4 billion. That's up 19 percent from 2014. As ad dollars in every vertical continue to migrate to digital, why is advertising for prescription drugs targeted to consumers—also known as direct-to-consumer (DTC) advertising—lagging behind? It's not because Americans are not online. Data from the Pew Research Center shows that 84 percent of Americans are on the internet. Long lagging their younger cohorts, seniors are now overwhelmingly online too. And, it's not due to low usage of prescribed pharmaceuticals—which are an important part of Americans' health care regimens, no matter the age. Half of all Americans have taken at least one prescription drug in the past 30 days; 10 percent have taken at least three. The question is especially vexing since the internet is such a critical channel for public health information. Patients are increasingly migrating to the internet as a primary source of health information, including prescription treatment options. Eighty percent of internet users (59 percent of all adults) have looked online for information about health topics, with patients increasingly signing up to receive email updates or alerts or watching videos about health or medical issues. This shift is not just limited to patients—doctors are now twice as likely to use online sources over print materials when using references to make clinical decisions. So why is 70 percent of the pharmaceutical ad spend still on television? Before we answer that, let's talk about the elephant in the room (who has also shown up on the campaign trail recently)—the contention that DTC drives up health care costs, by encouraging consumers to ask for branded medications rather than cheaper generic alternatives. Like all health care debates, that's a complicated question, with ample room for discussion. Viewed from the interactive advertising perspective, this is a sign that pharmaceutical advertising is effective. More demand, higher prices. Curiously, generic versions of branded medications are rarely advertised, although these companies may avail themselves of the same DTC opportunities. But perhaps the most persuasive counter-argument is the remarkably low rate of medication adherence, which translates not only into poor health outcomes, but also increased healthcare costs of somewhere between $100 to 300 billion annually. Juxtaposed against this are studies that consistently conclude that exposure to DTC prescription advertising is associated with improved patient adherence to treatment regimens. So, we go back to the question we posited at the top: Why does pharmaceutical advertising under index online? In 2009, the FDA held a two-day hearing to begin to address the enormous set of questions related to pharmaceutical advertising and the internet. (In April of that year, the FDA sent 14 warning letters on a single day all relating to one topic—online advertisements.) In the years since, with online advertising growing exponentially in both form and function, the FDA has given virtually no additional guidance, leaving advertisers in a quandary between moving to where consumers are and possible enforcement action. 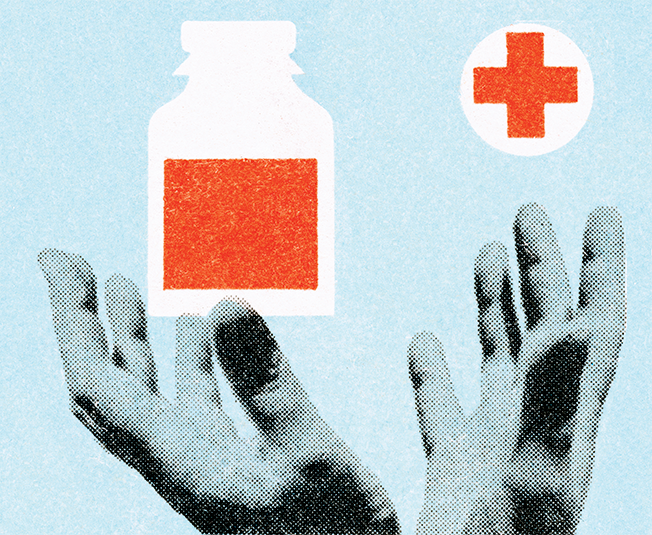 Not only are advertisers left in the lurch, but so too are patients. The FDA's most recent draft guidance related to pharmaceutical advertising was focused on character-space limited platforms, such as Twitter. A number of interested parties submitted comments containing criticisms, applause, technical corrections and suggestions for improvement. In the intervening two years, names and pictures no longer count in Twitter character feeds, advertisers can have two 30 character headlines in Google AdWords instead of one 25 character headline, and Instagram is taking a page from Snapchat's playbook with Instagram stories. What has the FDA responded with in the intervening two years? Silence. To start, the FDA should again engage with the digital advertising industry, to have another dialog about DTC and digital, similar to the event held in 2009. It would be an opportunity for digital platforms to explain how they work, and for the FDA to ask questions and discuss concerns. Following that, the FDA should update and re-release a new draft of their guidance for space constrained formats for review and comment, with the intention of finalizing it soon thereafter. An additional step would be researching into advertising for generic pharmaceuticals, with a focus on why those drugs are not advertised, whether advertising generics more readily could help address increased drug prices (to the extent the two are linked) and further reviewing benefits for increased patient adherence to drug regimens. There are signs the agency may be coming around; the FDA just recently indicated that they are planning to release an updated version of their guidance related to correcting misinformation about prescription drugs on the internet and social media platforms. This, combined with the relatively simple first steps outlined above, are the perfect prescription for what ails pharmaceutical advertising in the digital industry. Well, that and a spoonful of sugar. 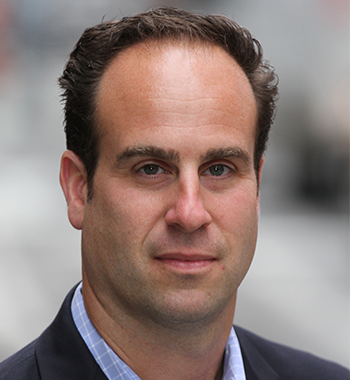 Brad Weltman (@weltmanb) is vp, Public Policy at the Interactive Advertising Bureau.